Shanghai is leading China’s food safety growth. Accordin to official figures, in 2016 14,000 food service licenses had been withdrawn or revoked, with 163 million RMB ($28 million) confiscated in 7,240 cases involving illegal activity related to food. In regard with the long series of food scandals held in Shanghai, the Shanghai Food and Drug Administration (“Shanghai FDA”) issued a new Food Safety Regulation which took effect on March 20th. Compared with the previous text of 2011, this regulation – as underlined by CFDA officers during a recent conference about microbiological risk – has been modified for around 93% of its provisions. Despite this, it seems to us that this regulations does not dramatically changes the legal framework by introducing brand new obligations; rather – beside some indeed significant new provisions – it mainly stresses the importance of several already existing legal obligations. 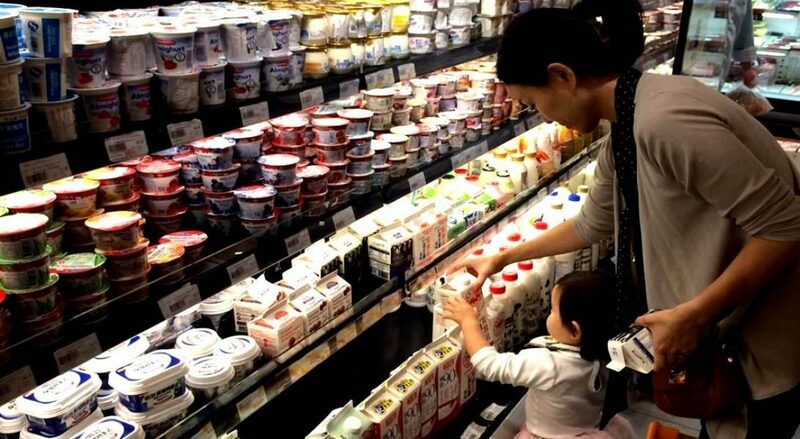 In general, the Regulation fine-tunes the general provisions for market access, the high control on food operations and the increased liability of producers and traders that engaged in all levels of production, sales, storage, transport and safety administration of food, food additives and food related products within Shanghai. Here is a brief overview of these. Market access: Companies involved in the food production, sales and trade activities related shall legally obtain relevant food license accordingly to their scope of activity (production, trade or catering) and strictly operate according to their scope of permission. This is nothing new, however becomes particularly stressed as several food companies still operate beyond their allowed business scope. Edible agricultural products used as raw materials for consumption directly even after simple processing such as cleaning, cutting, disinfection and other processing shall need food production. Third-party producer: Food operators shall check the relevant license of third-party producer, and only engage them within their duly licensed business scope. Food products produced through entrustment to third-party shall label the indicate third-party producer name, address, contact information and food production license number. This is new compared with existing national regulation, which does not compel to label the entrusted third-party. With announced revision of GB 7718-2011 just launched, are we seeing here what the new GB 7718 will look like? Shelf life: Food companies shall set up a management system and provide a marked hint for concentrated storage, display and selling of food and food additives that is approaching its best before date. Food beyond its shelf life cannot be sent back to the supplier, but shall be destroyed or undergo treatment to make those harmless. Food companies shall achieve the recordal of treatment results at least 2 years. After Farine shock, we expect this provision to be duly taken into account by food operators. Recycled food: Recycled food – sealed up, detained, returned, confiscated or recalled by operator within shelf life – cannot be used as raw materials, sold for use or given as gift. Food operators shall register recycled food and keep it separately in a marked area. Only food recycled due to non-compliant label, marks and instructions can still be sold or traded if the food safety is ensured. Transport and storage: Food operators shall set up a full-process temperature and humidity monitoring for food under special temperature and humidity requirements. They shall carry out records at last 2 years after the expiry of products shelf life. Catering: The authorities encourage catering services to use electronic display and transparent glass wall to show food processing course and raw materials of food. Delivery service: Shanghai’s food delivery services shall make sure that delivery employees have health certificate, and shall guarantee the cleanliness of any box and packaging used during food transportation. Other regulations applicable to food delivery are being issued in these days and they appear to be requesting – amongst other – that cold and hot dishes cannot be stored together. Furthermore, delivery personnel shall legally obtain a health certificate to operate. Training: Food business shall carry out training to employees on food safety knowledge and regulation. According to the Regulation, food producers and traders shall evaluate the performance of food safety management personnel, key link operators and other relevant employees and may not allow them to start working if they fail to pass the assessment. This will very likely have an impact on employment litigations. Risk prevention: Food operators are encouraged to buy food safety liability insurance, while so-called high-risk food companies seem being compelled to do so. In case of serious violations against food safety (involvement in food operation without relevant food license, engaging in production and trade of prohibited food, suffering from food safety accidents, etc…) besides the fine incurred and license revoked, the authorities are allowed to proceed with the immediate shutdown of the food business. Moreover, according to the Article 86 of the regulation, any organizations or individuals can complain and report to the competent authorities if they find illegal acts in food production and operation. The Regulation specifies that their identity shall remain secret and they will be rewarded.